And without further ado or yammering on my part, here are the top five selections from ALA’s Teens’ Top Ten list for 2011. 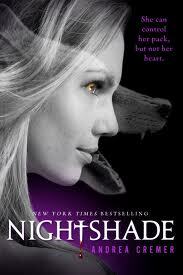 Meghan’s half-brother is kidnapped by faeries and replaced with a changeling. Her friend Robbie, who happens to actually be a faery called Puck, leads her to the faery realms to rescue him. But Meghan’s quest will reveal things about the world that she never knew–and things about herself that she might not have wanted to know. 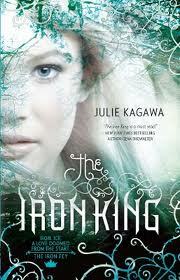 This is book 1 of the Iron Fey series, with a fourth book coming out tomorrow, less than two years after the first book. Good news for impatient fantasy fans! You’d almost think it was meant to be, right? 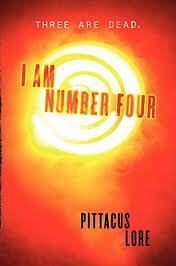 I Am Number Four…is number four. John Smith is hiding out in Ohio, trying to avoid the notice of the Mogadorians. John Smith is a Loric, one of nine who are hiding out on Earth. But the Mogadorians are coming for the Loric children, hunting them down in order. The first three are dead now, and John is next. With a movie and a sequel (The Power of Six) already published, the pseudonymous Lore is popular indeed. In the sequel to Hush, Hush, Nora Grey and her sort-of-reformed fallen/guardian angel Patch set out to find out what happened to Nora’s father. The journey brings her into contact with Nephilim and worse–her arch-enemy Marcie. In trying to uncover the truth about her father’s death, Nora discovers family ties she never wanted and begins to question the only person she really trusts–Patch himself. 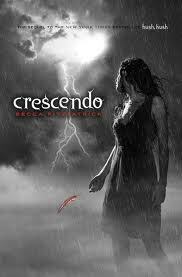 Make sure you pick up Hush, Hush first, though, or Crescendo won’t make a darned bit of sense. 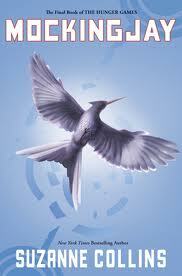 The conclusion to the Hunger Games trilogy is probably the weakest of the books, but that still doesn’t mean it’s bad. District 12 has been destroyed because of Katniss’s rebellion, and now the rebels have taken her on as their figurehead. But it’s hard to lead a revolution when you’re just a teenager, and everyone wants to use her for their own agenda. When a daring raid on the Capitol is planned, Katniss chooses to lead it–but the sacrifices might not be worth the gains. In Mockingjay, Katniss spends too much of the book out of the action, having events relayed to her, but the final battles are so intense, you won’t be able to put the book down. 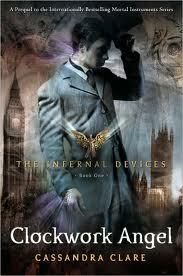 Cassandra Clare’s Mortal Instruments universe goes steampunk in this first installment of Infernal Devices. Tessa Fell’s brother has vanished, and when she goes to hunt for him she finds herself drawn into the shady Downworld, where two creepy sisters force her to practice her talent for shapeshifting. She’s rescued by a Shadowhunter with an attitude problem, and she’ll have to learn to trust him and his comrades if there’s any hope of saving her brother. 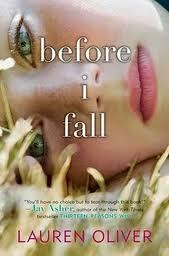 The American Library Association has just announced their Teens’ Top Ten list for 2011! To nobody’s surprise, paranormal fiction dominates the list, but there’s a wealth of dystopian literature here as well. I’m going to be counting backwards, from 10 down to 1, because that’s what David Letterman does. 10 through 6 will be in this post, and 5 to 1 in the next. Ever feel like you’re just repeating the same day, over and over again? For Sam, it’s really true. After she dies in a car crash, she wakes up on the morning of the same day, with a chance at a “do-over.” But it doesn’t work–she dies again (and again, and again), always waking up on the same morning. So Sam gets a little crazy, breaking all the rules and turning her Mean Girl attitude up to 11. But is there more to life–or death–than having fun? Meet Evie and her pink rhinestone Taser (nicknamed Tasey). She has the unique ability to see through the glamours that supernatural creatures use when they prey on humans. She has a mermaid for a best friend and a possessive fae ex-boyfriend–you know, a typical teenager. But a string of murdered paranormal creatures and a surprisingly handsome shape-shifter are about to throw her world out of whack. 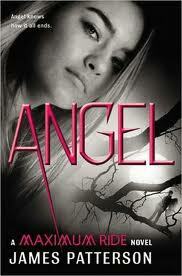 This is book seven in the Maximum Ride series. Max is slowly being persuaded to “save” the human race by helping to accelerate evolution–but the scientists involved have their own dark agenda. Meanwhile Fang is putting together his own X-men-style group, but there’s an anti-human cult that might destroy them all. The key to all of this? Angel, the littlest of their Flock. This was one of my favorite books of the past year. The cover makes it look like a frothy romance novel, but the story is anything but. 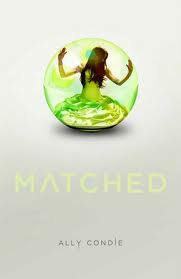 Cassia, like all the other 17-year-olds in her society, is Matched by the government with the most compatible boy in her generation. She’s lucky enough to get matched to her best friend, Xander, but another boy’s face shows up on her Match file. But Ky is an abberation who can never be Matched–so why did he show up? Finding the answer will make Cassia question everything she thought she knew about her Society.